Guest Blog Post: Not your everyday teacher training! 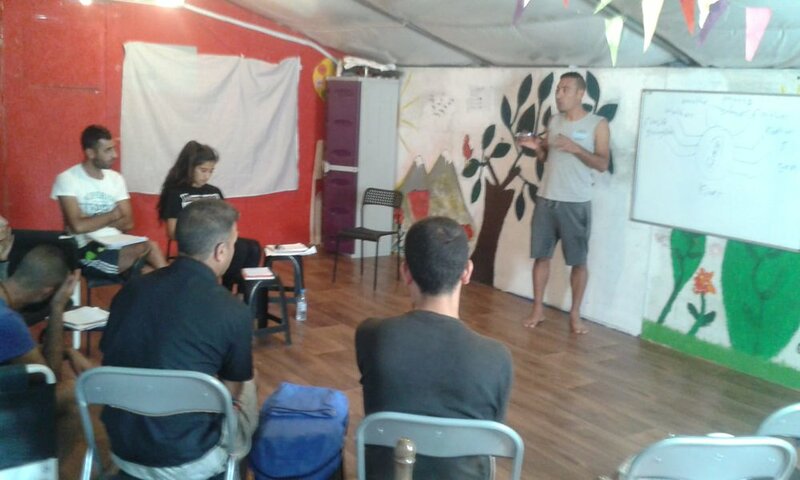 Language teacher training for Yazidi camp residents! Language classes are a popular and in-demand service here at the LHI Refugee Center in Serres, Greece. Camp residents know how vital language is for integrating into a new country and communicating essential information with others, both in official and social settings. 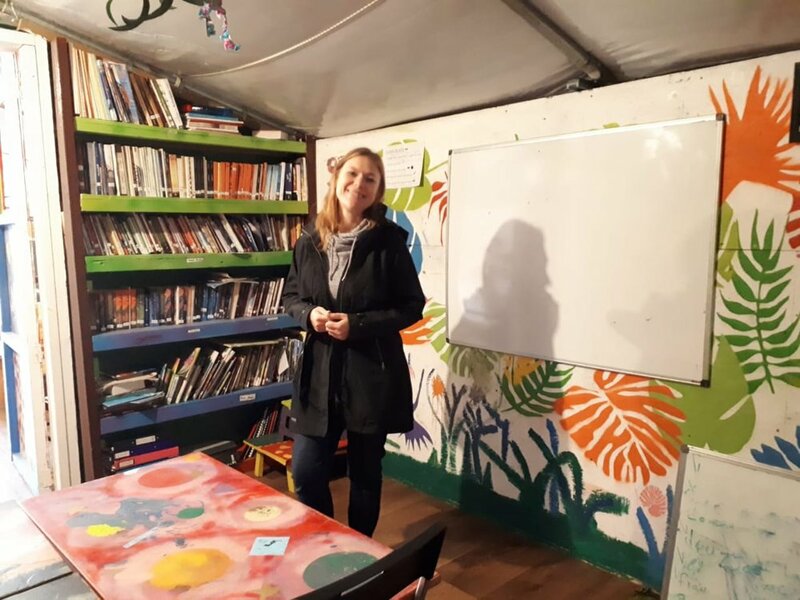 We’ve had a traditional teaching program for a while, meaning around five volunteer teachers come to Greece to teach for a fixed period of time; however, a recent development has seen Yazidis themselves volunteering to teach basic language classes. Some already spoke German and English before they fled their countries, but some have been stuck in Greece long enough that they’ve learned the language proficiently. Blurry but goody! We now run up to 25 classes a day in English, German, Greek, Arabic, and Kurmanji (the Yazidi’s native language). Whilst this is amazing in terms of what it means we can offer incoming resident students, as well as for the sustainability of the project, all but one teacher had no experience teaching and – as any teacher out there will know – teaching is difficult and involves thinking about several different things at once! As a result, we ran a two-day language teacher training ‘crash course’. Fourteen people came to the course; nine were current volunteer teachers and five other aspiring teachers. The course was interactive and split into one day of theory and one day of practice. Day one involved dynamic activities to discuss the purpose of education; common features of communicative language teaching (getting students talking rather than the teacher talking all the time, as is common in many traditional classroom settings worldwide); and common problems and solutions in the classroom (such as low-resource teaching). We looked at adapting donated Western textbooks for Yazidi learners and adapting textbook activities in general if they are too short or boring, for example. We also looked at how to structure a lesson plan which, although seemingly intuitive, was good to think about in a structured way. The residents were engaged throughout the session; asking questions, translating for those who hadn’t understood, comparing ideas, and participating with enthusiasm in the different activities. It would be fair to say that at the end of the first day they were pretty brain-tired and ready to rest! Day two was teaching time. The participants had been asked to prepare something to teach for 15 minutes the next day to their peers. After teaching (and preferably trying something new they’d learned the day before) we reflected as a group on what had gone well and what could be done differently if we were to teach the lesson again. The atmosphere in this session was so supportive: teachers were cheered on and off their teaching ‘stage’ and comments were kept polite and encouraging and – importantly - useful! It was a great exercise of ‘two heads being better than one’. And when asked what they would try in their classes in the future, most said asking more questions to their students, making sure students got enough speaking practice, as well as: “I will use more games because I want to have fun in our classes!” It’s hard to argue with that. The next day we concluded with a well-deserved certificate ceremony for completing the short but intensive course. As people received their certificates and hands were shook, the others clapped and cheered and took photos. It was a great end to a great couple of days, marking the beginning of some teaching careers at LHI and something we would love to repeat in the future to provide further support and training to these residents to continue teaching as many others as possible in their camp community.